For some, these warm summer evenings are perfect for enjoying a nice, light glass of wine on the deck. And, while rosé wine can be enjoyed year-round with a wide variety of foods, its light, dry, fruity taste and growing popularity over the past few years make it a pleasant choice for summer sipping. 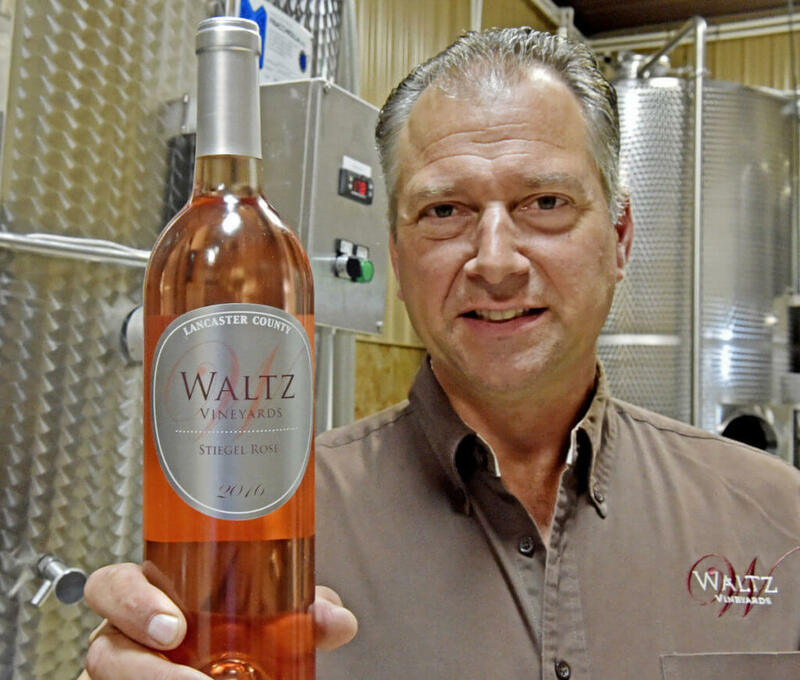 Jan Waltz, a winemaker who co-owns Waltz Vineyards and Waltz Estate Winery near Manheim with his wife, Kimberly, has been making Stiegel Rose rosé wine since 2008. It’s named after Manheim founding father Baron Henry Stiegel.